E. S Kennedy, son of Mr. and Mrs. Joe Kennedy, Loving, husband of Pauline Vann, graduate of Graham High. 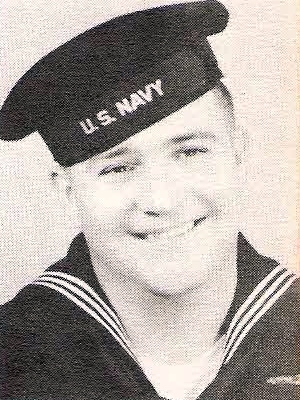 Entered Navy, 1939, trained in Norfolk, Va. Served in Marshalls, Gilberts, Solomons, Coral Sea and Midway. Awarded 9 Battle Stars, Pearl Harbor and APO Ribbons. Discharged in 1945. There is also a listing for Ervil Sanders Kennedy on the Service Roster Page of the book.